American religious history is a vicious beast. Americans know how to demonize the other. A look at the historical record makes today’s Islamophobia feel lightweight by comparison to the often violent persecution that religious others faced. 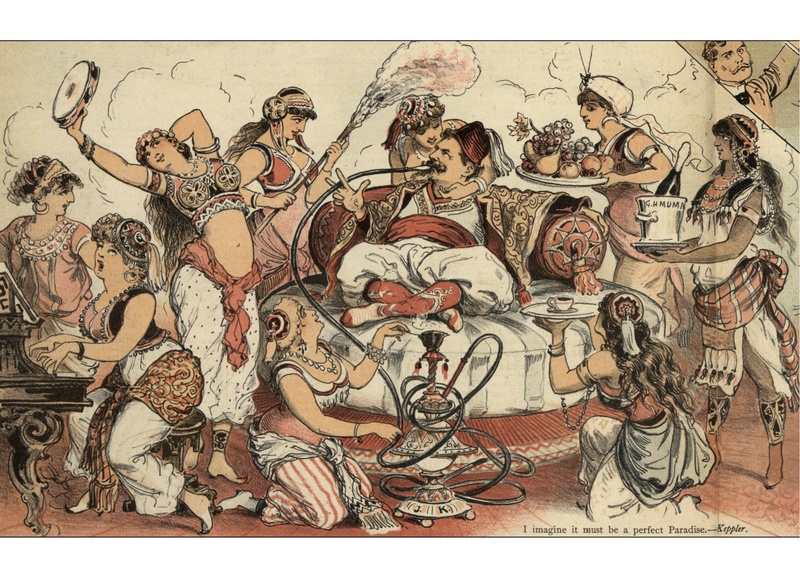 Today’s version of denigration, while it comes in the form of a clever Facebook “meme”, or a derogatory YouTube video, is (in form) not too much different from the 19th century’s political cartoons that ran in the daily newspapers. In a recent policy brief, “Beyond the Stereotype: The Shared Story of Muslims and Mormons in America” published by the Institute for Social Policy and Understanding, the Duke Islamic Studies Center, ISLAMiCommentary, and the Triangle Center on Terrorism and Homeland Security — I examine the overlapping ways in which Islamophobia and anti-Mormonism have played out historically. Scholars of anti-Mormonism have consistently noted the ways in which Islam has been used to denigrate Mormons. 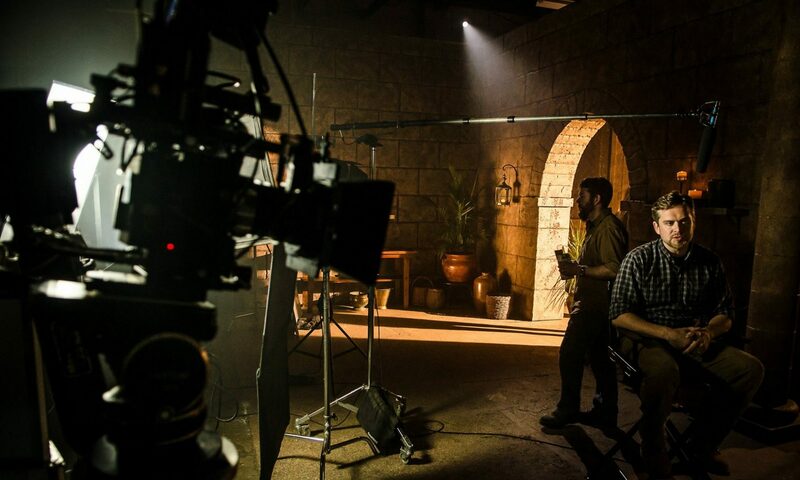 Throughout American history, Islam was conflated with Mormonism culturally and theologically as a tool to paint Mormons as foreign and to drum up xenophobic attitudes amongst the American populace. Cultural historian Timothy Marr points out that the narrative of anti-Mormon and anti-Muslim sentiments have been intimately tied together since the founding of Mormonism in 1833. 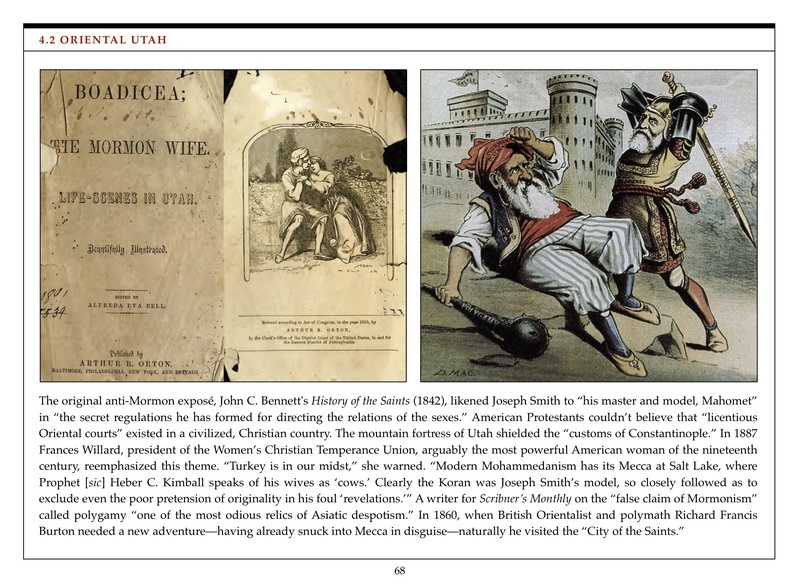 In The Cultural Roots of American Islamicism, Marr shows that orientalist clichés about Mormonism were used at the cultural level to “infidelize” Mormons amongst the larger American society. Popular writer Arthur Conan Doyle’s A Study in Scarlet (1889), the novel in which the famous fictional detective Sherlock Holmes made his first appearance, includes a very biased description of the Mormon migration westwards and the founding of Salt Lake City. Mormons are presented as very violent and intolerant, systematically terrorizing their neighbors and forcing polygamous marriage on non-Mormon girls against their will. Interestingly, the book compares these alleged Mormon practices to popularized “stories” of European girls being forcibly taken to Muslim harems. 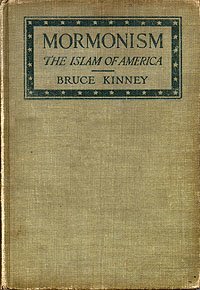 Popular academic book that represents the culmination of the academic fascination with the similarities between Mormonism and Islam.